Our main website (see above) contains much more detailed information about our organization and activities, including: 6-month walk programmes, photographs taken on our rambles, routes for over 400 walks (gpx), mapping apps and sections on Open and Coastal Access. 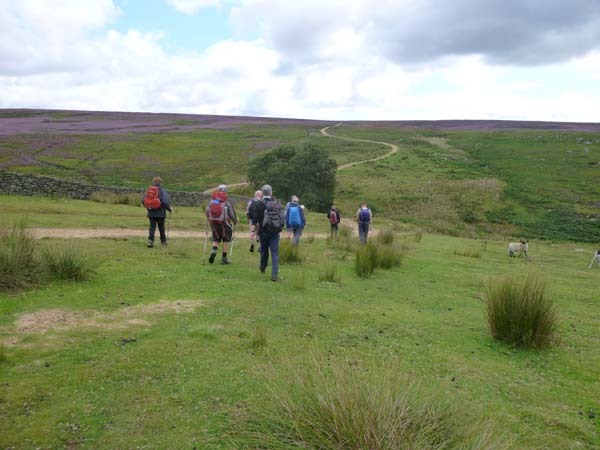 Our aim is to enjoy the many miles of footpaths in the Vale of York and Howardian Hills, as well as the chalk hills and dry valleys of the Wolds, the heather clad North York Moors, the splendours of the Yorkshire coast, and the limestone Dales and Millstone grit hills to the west. Some of our members inspect footpaths, trying to get gates, stiles and bridges repaired, obstacles removed and signage improved. We are always looking for volunteers to help in this work. We promote greater access for responsible walkers to the countryside and coast, and to keep open (or re-open) those rights of way shown on Ordnance Survey maps. This is a great way to experience the countryside, perhaps make new friends and importantly to discover how walking boosts your health and happiness. You’re very welcome to try walking with us, or to get involved in looking after paths and green spaces. Join the Ramblers and become a member of York Group.